It may have stopped with a clang, or petered out after a long, slow decline—in any case, your furnace is kaput, and you need it repaired. Peninsula fixes furnaces of all types, makes, and models. 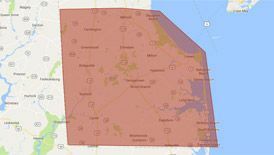 Contact Peninsula today for furnace repair in the Delmarva area. My furnace isn’t heating up. A tripped or blown circuit breaker. Obstructed gas or propane flow. My furnace isn’t getting hot enough. Leaky ductwork. We’ll inspect your ducts to find any spots where heat can leak out. Imbalanced airflow in your home. We can do an airflow check to determine if there’s an imbalance, and correct it if necessary. My furnace is making noise. Loud noises at startup. Depending on the noise, this can be caused by delayed ignition, a dirty condenser, a faulty inducer motor, or a cracked heat exchanger. An explosive noise at startup can indicate a number of serious issues. Call Peninsula if you suspect any of these problems. Rumbling sounds. Rumbling from the furnace might mean that oil is dripping from a nozzle onto the floor and burning. This is a carbon monoxide hazard, so call us right away. Rattling noises. A rattle or bang that starts before the blower begins can indicate a cracked heat exchanger. This is also a carbon monoxide danger, so, again, call Peninsula immediately if you notice this type of noise. Groaning, whining, or humming. These kinds of noises typically indicate issues with your furnace’s bearings, or something loose inside the unit. If any of this sounds familiar, call Peninsula! We’ll send a knowledgeable, experienced service tech to check it out. Peninsula takes furnace safety very seriously. Gas, oil, and propane are all extremely flammable and can be very dangerous when handled incorrectly. If you suspect a problem with your furnace—no matter what kind—call a professional for service and repair. It is HIGHLY recommended that you have your furnace inspected and serviced twice a year to keep it clean and free of potential hazards. Gas furnaces produce a very small amount of carbon monoxide when properly cleaned and maintained, and running at optimum efficiency. However, if your gas furnace is dirty and running poorly, it can produce a deadly amount of carbon monoxide. This is why maintenance and twice-yearly service are so important. Please read these gas furnace safety recommendations from AHRI, the Air Conditioning, Heating, and Refrigeration Institute. A properly functioning propane furnace does not present a carbon monoxide poisoning hazard, but an improperly adjusted propane furnace can result in the risk of carbon monoxide poisoning. 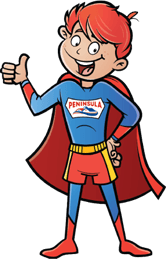 The propane industry takes the issue of safety very seriously, as does Peninsula. Like natural gas furnaces, oil furnaces do not pose a risk of carbon monoxide poisoning when they are clean and running efficiently. This is why it is crucial to keep your oil furnace clean and in perfect working order. We recommend that you install a carbon monoxide detector and alarm in your home, and that you familiarize yourself with carbon monoxide safety measures. If you ever have a question about carbon monoxide, please call us. When you need furnace repair in Delaware or Maryland, contact Peninsula. If you have a furnace repair emergency, call us at 302-629-3001302-629-3001 any time, day or night, 365 days a year. Don’t miss our specials and coupons!